In my previous coverage of sci-fi sandbox Avorion, I praised the endless spaceship and weapon customization options, while also criticizing the lack of story and quest disclosure on the Kickstarter page. Since then, I’ve reached out to Avorion’s main developer, Konstantin Kronfeldner, to address some of my concerns regarding storyline, quests and the game’s uniqueness. 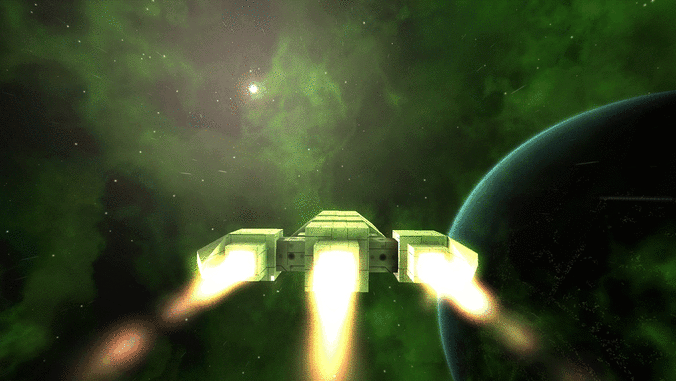 One of the questions Konstantin gets asked the most is: what makes Avorion different than other successful space sims like StarMade and SpaceEngineers? Well, for one, Avorion isn’t just a building game where you fly around in a spaceship, it’s a sandbox game like “X or Freelancer” that features a fully customizable, buildable ship. It features building, flying, combat and exploration all wrapped up in one innovative sci-fi sandbox. It may not yet match X or Freelancer in depth or scope, but that’s what Konstantin and all the developers behind Avorion are aiming for. At the beginning of Avorion, players are introduced to a galaxy overridden by “strange subspace rifts”, with rumors that an “unknown alien race” has been spreading from the center of the galaxy and is working its way out, making life amongst the stars uninhabitable. A “new mysterious element” called “Avorion” has simultaneously entered the fray, “this is the final material that players will be able to build ships with.” The player’s job is to get to the center of it all (pardon the pun), and get rid of the aliens one way or another. The plot is meant to be a “driving factor” that will pull players closer and closer to the core of the galaxy, as the gameplay gets tougher and also more “rewarding”—stronger enemies, better crafting materials and weapons, etc. After spending an hour or so with the demo, I will note it feels very smooth and satisfying to cruise through Avorion’s gargantuan galaxy in my tiny spaceship. So far, the game has raised approximately one-third of the €15,000 it’s asking for, with little over a week to go. You can download the demo on Avorion’s Kickstarter page, and track its progress on our Campaign Calendar.